Charles Kimbrough Returns as Jim Dial. The Episode Was Directed by Barnet Kellman, Who Directed 76 Episodes of the original “Murphy Brown” Series, Including Its Pilot and the second Half of Its Two-Part Season 10 Finale. 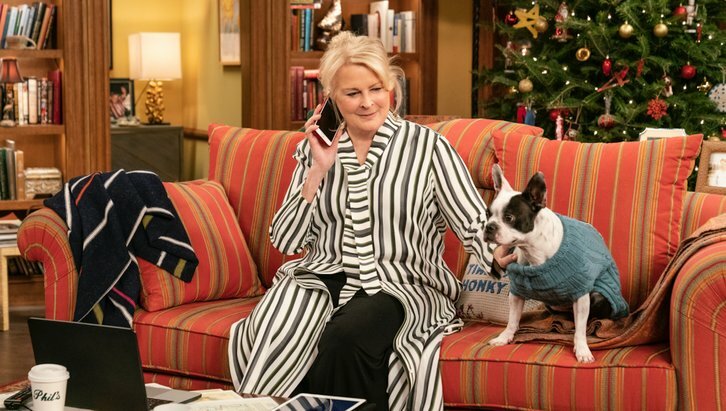 “Happy New Year” – The gang tries to distract Murphy from worrying about Avery’s assignment in Kabul by getting her to attend the special 100th anniversary New Year’s Eve celebration at Phil’s Bar, on the season finale of MURPHY BROWN, Thursday, Dec. 20 (9:30-10:00 PM, ET/PT) on the CBS Television Network. Charles Kimbrough returns as Jim Dial. MSNBC anchor and host Lawrence O'Donnell and NBC News chief foreign affairs correspondent and MSNBC host Andrea Mitchell guest star as themselves. The episode was directed by Barnet Kellman, who directed 76 episodes of the original MURPHY BROWN series, including its pilot and the second half of the two-part finale for the show’s initial 10-year run.